Does anyone else make lists all the time? Do you have an unnecessary amount of something sitting in a drawer somewhere? I adore, lists! Thanks for sharing. i love using my blackberry to make / update lists. it is quite useful. I love all the little listy paper you posted. I do make lists but they are ALL in my phone, which is not such a good idea because what if I lose my phone or it crashes?! Bye bye blog inspiration and all my lists! ha! HAHA Sheri this is funny! I am the same way! I have boxes of different colored and shaped note pads and post-its....I will never use them all, but I too have lists for everything. To add to my OCD, some lists I will only write in certain colors and only cross off in certain highlighters. I am so strange! oh my, you really are super organised. I LOVE STICKY NOTES! So much I may have a sticky note wedding dress! Without my lists I would lose my mind! Love the Crane and Co ones, so cute! oooh I LOVE those "sticky notes" from amazon. so adorable! but I often find myself making pro/con lists. I don't know why. I think I am compulsive list maker too, but I'm weird and as soon as one thing is done instead of crossing it off, I throw the list away and re-write a new one! I am definitely a BIG list maker. In fact I tend to go a little crazy if I don't write things down! I usually keep notebooks around the house so when I think of something I need to remember I can quickly write it down! Glad to hear there are others as list crazy as me! oh i like the first note pad! I am a total lover of things functional and beautiful and these are a perfect example of that. I love all of these. Tough choices! lists are just too much fun to make. Girl, you are not alone. I'm a list maker and sticky notes aholic. I live off of lists! I love crossing the things off and having that feeling of accomplishment! You really need to check into pinterest.com ...that can become your online list keeper! It's awesome! Haha. I do the same thing! And I add things that are silly and monotonous...like "take a shower" just so I can say "Check!!!" You're pretty organized! I only make lists when I need to pack my bags! 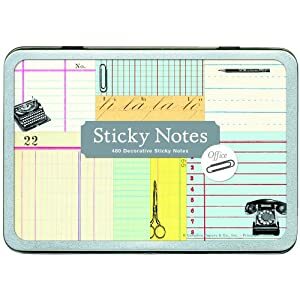 Oh, I LOVE lists and notepads...I think I'll have to pop into Barnes and Noble to see if they still have the one you posted...so cute! Yes and yes. My husband thinks I'm crazy. Love your finds! Nothing like lists to make you feel more accomplished. I think they're fun gifts! Is there such a thing as a 'list-o-holic'? If so, you can call me that! I love the Jonathan Adler Post-It set!! I make list for absolutely everything! 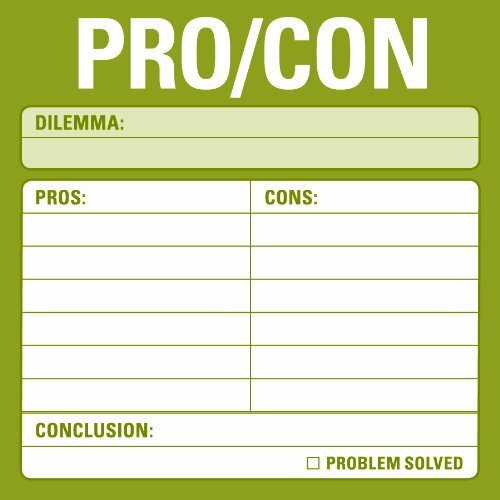 I might have to get some of these notepads. Totally am the same way! I have post its everywhere including the digital kind on my mac! These are so fun, but I am a purest for the simple plain ones! I love lists! This is a great post! So many styles to choose from...which one to get?! I am also a fellow list maker. Love it! Ohhh, I think I want the "Long List" that sounds like it has some potential. Can you imagine all the check marks? Love! I'm a HUGE list person. I have millions of pads going on right now. My hubby wants me to put it on my cell but nothing beats writing it out on cute pads and crossing things out. There is also a journal that you write list style. I think it's called Listography:your life through lists. I am a total list addict too - I totally related to all of the ones you listed. :) It's bad when you have 3 different to do lists in different parts of the house! Love your fun finds - the packing list would be so helpful!! Love the "Pack This...that would defintiely come in handy for me! Luckily, I have a husband who doesn't make fun of me for my lists...he loves the satisfaction of crossing something off too! I'm a compulsive list maker too :) I have them everywhere. I love that Barnes and Noble to do list above.